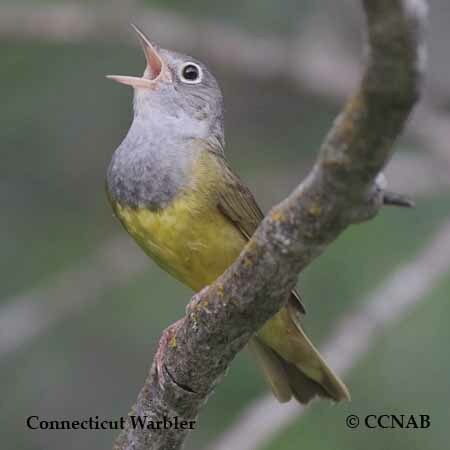 Species: The Connecticut Warbler (Oporornis agilis) is probably the most difficult warbler to see in North America, and a bird sought after by all keen birders. It is a habitant of northern spruce bog swamps in the east and poplars stands in the west. It is very hard to observe, because it feeds on the ground or close to it, preferring heavy ground growth. 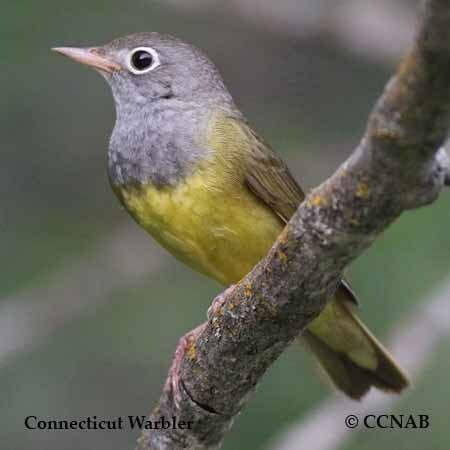 Warblers similar to it is the Mourning Warbler (no eye rings), and the MacGillivray's Warbler (partial eye ring above and below eye), forming two distinct crescents. 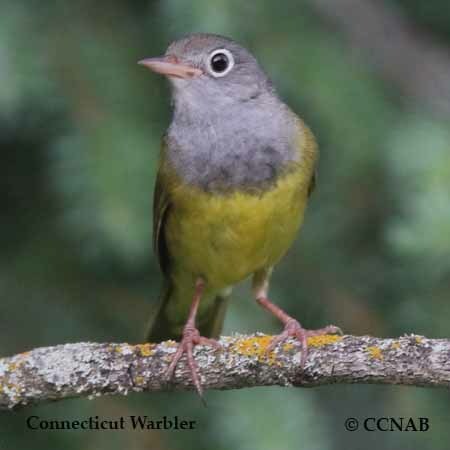 Distinctions: The male has a bluish-gray face and throat. A very distinguished white eye ring seen on the male, female and juveniles. Lemon coloured breast and under tail coverts. Brownish-green back, wings, and tail, olive green showing on back of crown. Pink legs and partially pink bill. The female has similar colours, but duller. Juvenile is mostly brown on upper half, with lemon coloured breast and under tail. Voice: Chipping call, chippy-chipper-chippy-chipper song, repeated over. Nesting: Three to five creamy white coloured eggs marked with brown spots. 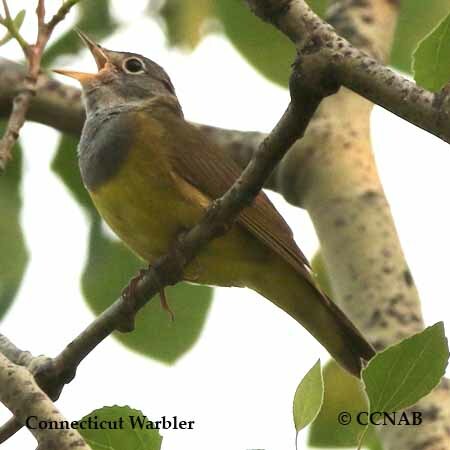 Builds nest on the ground, or in shrubs close to the forest floor. The nest is composed of leaves, twigs, formed in moss. Distribution: Found from the central regions of Quebec, as far north as James Bay, west through the central portions of the prairies into northern British Columbia, just south of the western Great Lakes. 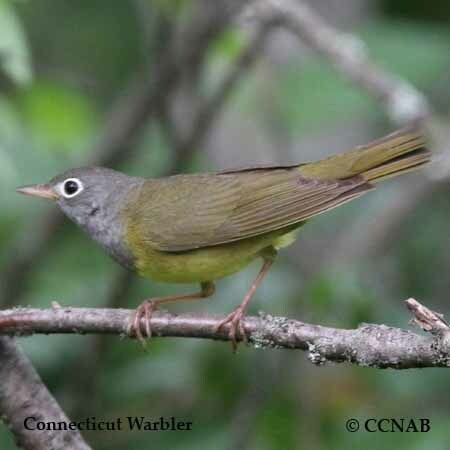 Migrates in the fall through the Atlantic coastal states, spending its winters in central parts of South America.